Composer, pianist, and conductor Serge Rachmaninoff is widely considered one of the greatest figures of late Russian Romanticism. His music is especially popular among music lovers for its sumptuous harmonies and lyrical, passionate melodies. First performed at the Leeds Festival in 1910, the Symphony No. 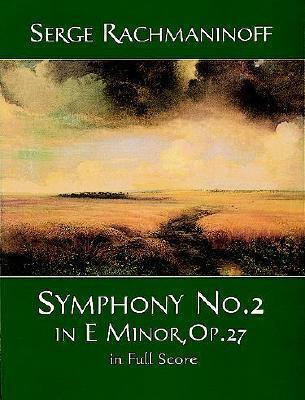 2 in E Minor is one of the staples of the orchestral repertoire. According to Grove's Dictionary of Music and Musicians, the work displays Rachmaninoff's "fully fledged melodic style (particularly in the slow movement), his opulent but infinitely varied and discerning use of the orchestra (notably in the scherzo), and a greater confidence in the handling of large-scale structures." Now musicians and music lovers can savor and study this fine work in a high-quality edition, reproduced from an authoritative source.